From Busselton we will take you to Cape Naturaliste, one of the most spectacular spots in the Margaret River Region, with the Indian Ocean on one side and stunning gentle bays on the other. A short, guided walk towards Sugarloaf Rock allows opportunities for dolphin sightings. Once at Sugarloaf Rock enjoy locally made refreshments in spectacular surroundings. 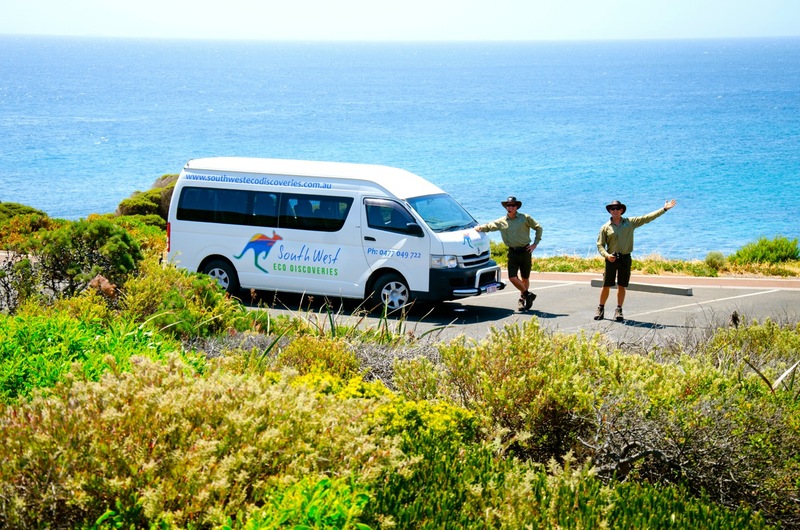 The tour continues with a scenic drive around the iconic sites of Cape Naturaliste with plenty of photo stops, then to Geographe Bay where we will show you the marine life via our live Underwater Video Feed direct to the tour vehicle (conditions permitting). We will then head to Dunsborough where you will have free time to explore the town’s gallery and boutiques and purchase lunch from one of the numerous eateries. The tour then heads in to the wine country, down scenic Caves Road, stopping at 2 wineries, Gabriel Chocolates and Vasse Virgin olive oil products to taste some local produce before returning to Busselton. Tour departure times vary slightly to fit each cruise ship's specific arrival and departure times from Busselton. Times will be confirmed after booking. As a guide, tours generally depart between 10.00am and 11.00am and arrive back in Busselton ready for return to the ship by 3.30pm - 4.00pm.